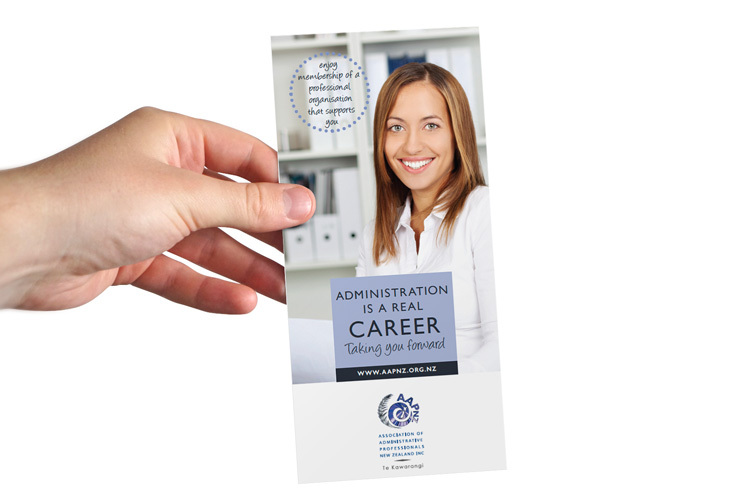 AAPNZ is a voluntary member-based organisation that supports and provides professional development to New Zealand administrative and executive professional assistants. 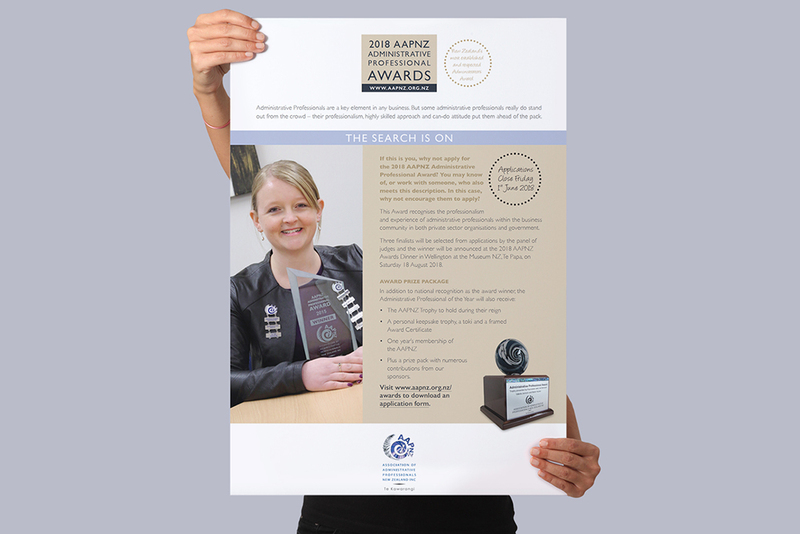 AAPNZ has developed a certification process which meets NZQA-level standards. The association relies on sponsors and partnerships along with member fees to support itself. AAPNZ approached Freshfields when the organisation was in a position to contribute resources to a dedicated marketing strategy. Prior to this, we had produced occasional graphics and print-based design projects for AAPNZ. A logo had been developed, though few marketing materials had been produced. We needed to clarify the brand values and vision before developing a marketing strategy, including how the brand was perceived, and how to market the brand to members, potential sponsors, and stakeholders. AAPNZ was administered by a national executive team who met once a month. This presented a challenge for quickly reaching a consensus and making decisions. The organisation holds three key events each year. 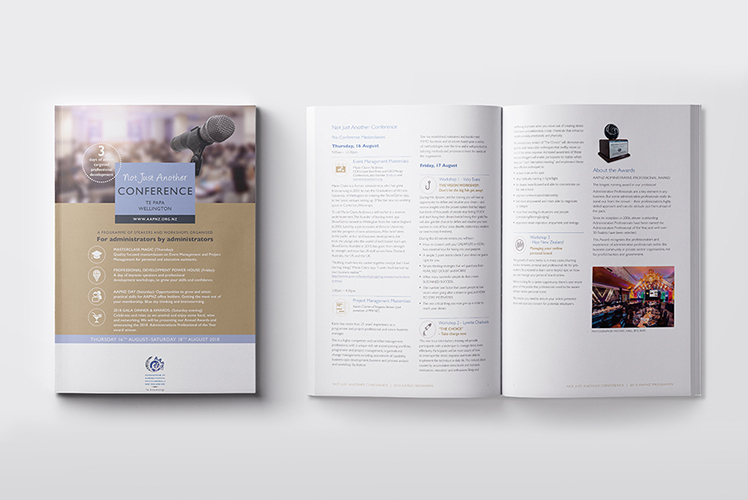 It was decided to introduce a consistent visual identity and then build brand awareness by concentrating on these three events. This gradual approach satisfied a limited budget and has provided consistency, with many materials simply requiring updating, keeping costs manageable. Meantime, the visual identity has become a recognisable brand across all collateral, publications and materials. “Lynn is aware of cost and we work collaboratively to reduce costs as much as possible without compromising the amazing work she does for the association. I really like working with Lynn, she has a strong sense of self and her ethics are high. She produces beautiful designs and isn’t fazed if you don’t like something, she usually comes back with something that immediately captures the essence of what we are after.